LMT Imports, LLC is part of Laguna Madre Trading Partners. Laguna Madre Trading currently consists of three divisions - LMT Imports, LLC, LMT Design – One of a kind merchandise and assisting with designer projects, and Laguna Madre Trading – which has 4 retail locations. 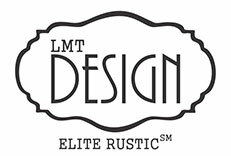 Founded in 2009, LMT Imports, LLC has become one of the premier importers and distributors of western, rustic and eclectic furniture in the Southwest. We currently serve over 500 (and growing) retail establishments in Texas and surrounding states. We specialize in the design, manufacturing, importing, and warehousing of top quality, hand-made solid wood furniture from Mexico, India and other locales. Our product offerings cover a wide range of styles including, but not limited to, hacienda, rustic, industrial rustic, western and mountain living. As a wholesaler, we do not sell to the general public. Our US based warehouse is in Grand Prairie, Texas, with another location south of the boarder in Guadalajara, Mexico. LMT has always had strict quality control guidelines in place to ensure only the best quality furniture is supplied to our dealers. All products distributed by us are 100% solid wood. Our manufacturers do not use press board, veneer overlays or other composite materials in our products, ensuring that you get a top quality product that your customers will enjoy for many years to come. Our own in-house delivery group provides an efficient, cost effective service throughout Texas and surrounding states. Additionally, we provide warehouse pick up services for retailers Monday – Friday from 8:30 am to 4:30 pm. LMT Imports’ goal is to be your one-stop distributor for all products in the rustic and western category. Whether it is Mexican pottery or top-quality leather furniture, we are here to make our customers profitable through competitive pricing, innovative design, and superior customer service. It is our mission to provide the best product and service for our retailers. However, products can sometimes become damaged in shipping. To clarify our return policy, we will now be operating under the following warranty for all products sold and shipped by LMT Imports, LLC. Purchaser should thoroughly inspect all orders for damages upon receipt. In the event damages are found on any items received in a shipment from LMT Imports, LLC, they need to be reported to us within 5 business days of receipt by phone, fax or email. We reserve the right to request photographs of the damaged items to best determine a resolution. Repairs will be attempted as the preferred resolution method in all cases; however, if LMT Imports, LLC, or an authorized representative, determines that the cost of repair exceeds the cost of the damaged item, LMT Imports, LLC will furnish a substitute unit of the same or similar color, design, style, and quality. LMT Imports, LLC will honor reasonable and customary labor charges during this warranty period for the purpose of repair or replacement of warranty parts. Should it be necessary to replace an item, LMT Imports, LLC will ship said replacement to the original location via the original method of shipment. Due to the solid wood nature of our products, dealers should ensure proper care while kept on their showroom floor(s) and/or warehouse(s): it is very important to the products’ longevity in your customers’ homes. Items returned for cracks and/or splits in the wood must be returned for exchange within 60 days of purchase from the retailer’s store. Proof of purchase from the retailer must accompany any merchandise for exchange. If the items show heat and/or sun damage or fading, they will not be eligible for return or exchange. Additionally, all items returned or exchanged for any reason must be free of stains and other evidence of excessive use or abuse, as determined by LMT Imports, LLC, in order to receive credit or replacement. Please note: Shipping charges are not refundable, and the return charges are the responsibility of the customer. LMT Imports, LLC makes no warranties, neither expressed or implied, for fitness for the consumers’ particular use. We make every effort to inspect our goods before shipping to assure quality and strive to offer our customers the highest quality items at exceptional values. The retailer acknowledges that handmade goods are inherently imperfect and can vary in size, finish, and dimension. Regarding our painted items, we make every attempt to ensure our color is consistent, but slight variations may occur. All products that are susceptible to pest infestation have been treated. This warranty does not apply if your LMT Imports, LLC product is damaged from the use of detergents, abrasives or other harsh cleaning agents. This warranty does not cover damage resulting from negligence, abuse, normal wear and tear, or accidents including burns, cuts, scratches, tears, scuffs, watermarks, indentions or pet damage. This warranty does not cover floor samples or products designated “AS IS” at the time of purchase. · The warranty does not cover furniture found to be abused, misused, exposed to improper humidity levels and/or unsanitary conditions. · The warranty does not cover furniture that has been used for commercial purposes such as, but not limited to a hotel, motel, or nursing home. · It is common knowledge that dining chairs will gain minor movement in their journey over a period of time/use.